Bob Crawford thinks he holds the best job in the world — even if it means driving four hours through a sleet storm just to get home from band practice. “It’s been just phenomenal for me. I get to collaborate with two of the greatest songwriters I know,” he says over the din of shaky cell-phone reception and freezing precipitation beating on the exterior of his car. Appearing: Sunday, March 7th at House Of Blues in Chicago. 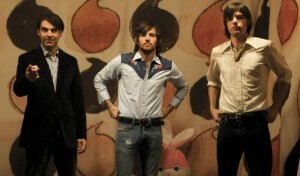 His commitment to the call isn’t surprising — it seems those Avett Brothers run a tight ship. They gleaned this work ethic by observing their father manage a welding business during their formative years and transferred this discipline to their music. Adding bass to Scott and Seth Avett’s heart-tugging compositions when the trio formed in North Carolina, Crawford took some time to adjust to the protocol. “Scott always tells people that when we first started out — we still do — we kind of run our band business the same way his dad ran the welding business,” he says. “So, it’s like that kind of idea of early-to-bed/early-to-rise and being on the job site when the sun comes up. In the early days of what we did, we would leave at 5 a.m. and no matter where we were we would get up at the break of dawn and make our way to wherever we needed to be. That’s just something I think that’s in their blood. I had to learn that,” Crawford admits. The dedication to craft sustained the genetically inclined harmonizing, banjo-friendly power ballad-writing band through four independently released full-length albums and two EPs beginning 2001. 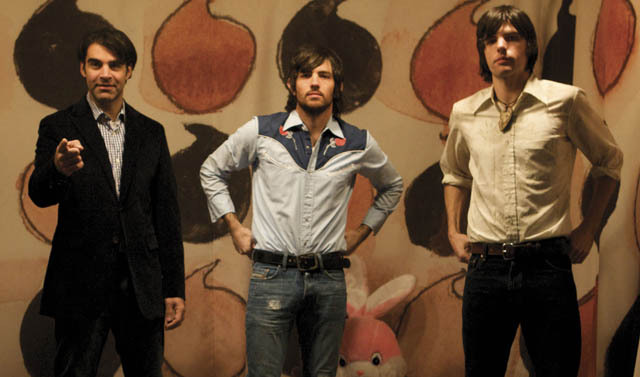 Near-constant touring earned The Avett Brothers a rabid fanbase scattered across the country and cemented the group’s reputation as if not a live tour de force, then definitely a raucous good time. Taking a meeting with Rubin and hunkering down in the studio with the legend for months (and for that matter making the switch to a major label) are two different things. When the band made the decision to take the leap, call Columbia home, and put the making of I And Love And You into Rubin’s hands — thereby relinquishing a fraction of its coveted control — the pressure was on. Because (or in spite) of Rubin’s tutelage, The Avett Brothers’ major-label debut retains the band’s penetrating observations on the themes of family, romance, and the transition between the petty occupations of boyhood to the responsibilities of manhood. From the stuttering profession of affection in “Kick Drum Heart” to the resigned heart incapable of mouthing the three words people long for most in the title track, the album’s universal truths cause the listener to wince as if 20 Band-Aids are being pulled off at once. 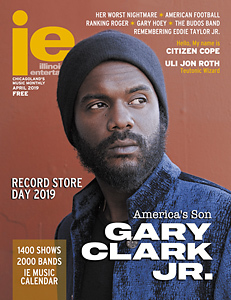 For the full interview, grab the March issue available free throughout Chicagoland.